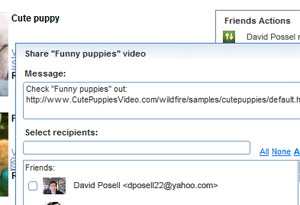 Distributing friend connections across the web has been quite a hot topic in the Web 2.0 community as of late. MySpace, Facebook, and Google have all come out with their own initiatives for sharing social graph data with any number of websites. And there appears to be a struggle over just who will ultimately control the aggregated data – if anyone. So it may or may not come as a surprise that Gigya, a startup known for distributing widgets across social networks, blogs and other social media platforms, is getting into the mix by launching a service into public beta called Gigya Socialize. I first heard of Gigya’s plans to invert social networking in February when it was called “Wildfire Social”. President Rooly Eliezerov described it then as “better than anything we’ve done so far”. He even conjectured that whoever owned the aggregated social graph could become the next Google…which is ironic in hindsight, of course, given that Google itself beat Gigya to the punch. Regardless, Eliezerov insists that the announcement of Google Friend Connect doesn’t change Gigya’s strategy, and that Gigya Socialize is actually quite different in some ways. 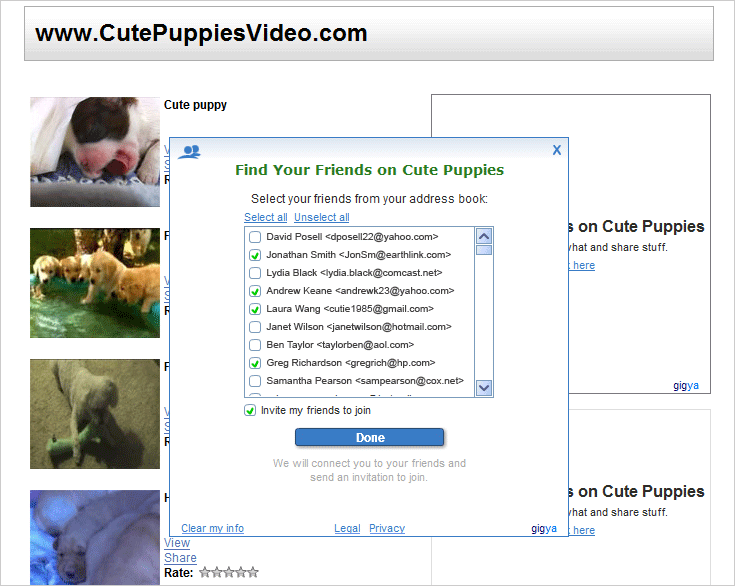 He points to two areas in particular: the availability of an API for seamless integration, and the ability to import friends from email contact lists. Gigya Socialize can be implemented by websites in either of two ways. They can drop in a set of plug-n-play components, like a news feed or sharing panel, that are based in Flash and visually configurable. Or they can work with an API that provides a short list of commands for retrieving and saving user activity and friend data. 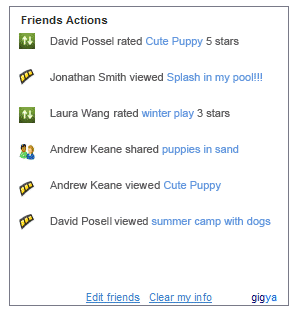 While currently you can only import friends from Gtalk, Orkut and (soon) Hi5 with Google Friend Connect, you can invite them from your list of contacts on Gmail, Yahoo, Hotmail or AOL with Gigya Socialize. Gigya intends to keep a low profile with this social service. Branding on individual components is kept to a minimum, and users are only brought back to Gigya’s site for account management purposes. The Palo Alto-based startup has no plans to aggregate friend activity across participating sites in one FriendFeed-like hub. As for monetization, Gigya is thinking about releasing support for inserting sponsored items into the news feeds of participating publishers’ sites. The idea is that advertisers would be able to broadcast their own users’ behavior elsewhere on the web as a form of lead generation. This functionality, however, would be entirely opt-in on the part of publishers. No websites have yet to roll out Gigya Socialize, although EA Games is said to be working on an implementation and RockYou has shown interest as well.